A stark tale encompassing the cruelty and beauty of the natural world, and a clear demonstration of the storytelling gift that would later flower in the Aubrey/Maturin series. When he was fourteen years old and beset by chronic ill health, Patrick O'Brian began creating his first fictional character. 'I did it in my bedroom, and a little when I should have been doing my homework,' he confessed in a note on the original dust-jacket. 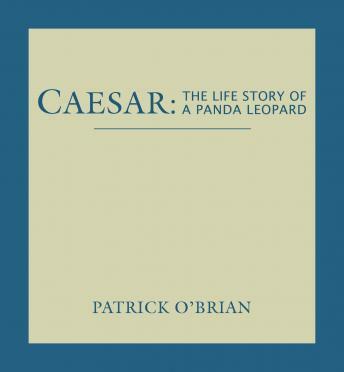 Caesar tells the picaresque, enchanting, and quite bloodthirsty story of a creature whose father is a giant panda and whose mother is a snow leopard. Through the eyes and voice of this fabulous creature, we learn of his life as a cub, his first hunting exploits, his first encounters with man, his capture and taming. Caesar was published in 1930, three months after O'Brian's fifteenth birthday, but the dry wit and unsentimental precision O'Brian readers savor in the Aubrey/Maturin series is already in evidence. The book combines Stephen Maturin's fascination and encyclopedic knowledge of natural history with the narrative charm of Rudyard Kipling's The Jungle Book. It was published in England and the United States, and in translation in Sweden, Norway, Denmark, and Japan.